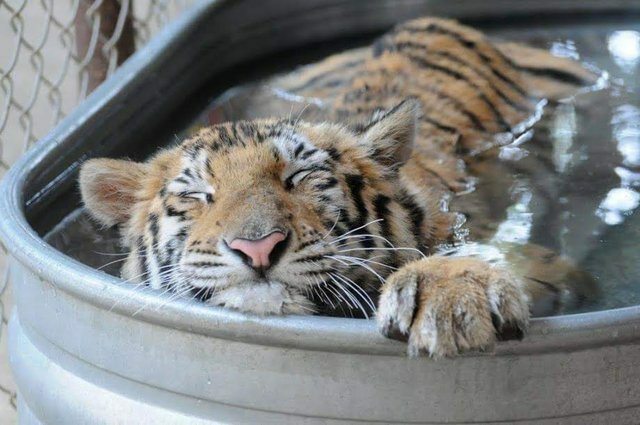 At 9 months old, Aasha the tiny tiger was extremely small, weighing only 30 pounds—the equivalent of a 3-month-old cub. Additionally, she was not in a good state; patches of her fur had fallen out and areas of her skin were cracked and bleeding. 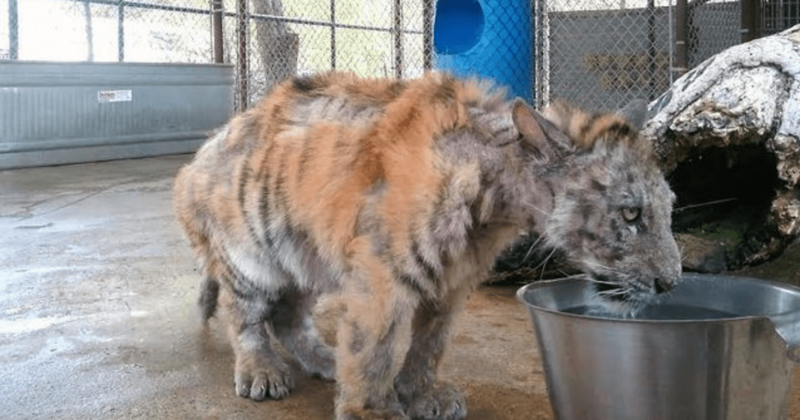 Catching wind of Aasha’s situation, a United States Department of Agriculture inspector approached Vicky Keahey, founder of Texas’s In-Sync Exotics Wildlife Rescue and Educational Centre. The inspector told Keahey about Aasha’s condition and was hoping they’d be able to transfer her into Keahey’s care. The answer, it would appear, is untreated health conditions and blatant neglect. 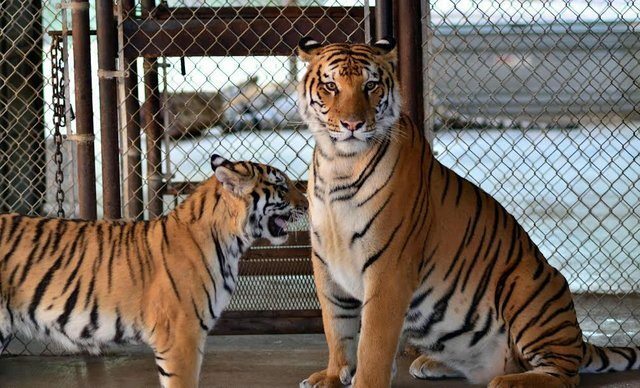 The inspector revealed to Keyhey that Aasha had belonged to a traveling circus and was housed with a bigger tiger that would often attack and nip on her. The USDA inspectors knew that Aasha was not well, but they had no idea what condition it could be. 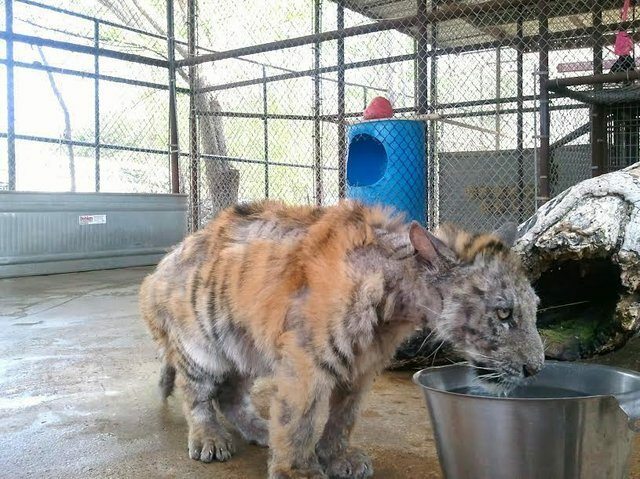 Upon seeing the cub, however, Keahey immediately identified the condition as ringworm, a diagnosis which was later confirmed during a trip to the vet. As soon as they received the word, Aasha was put into an isolated enclosure for treatment. “Aasha’s bald spots covered almost her entire body, and her skin was dry [with] cracked, darkened areas and bleeding,” Keahey told The Dodo. To treat the ringworm, Aasha had to take medicated baths, an activity she genuinely hated. Soon, however, she got used to the water, splashing around and showing great progress with her health. 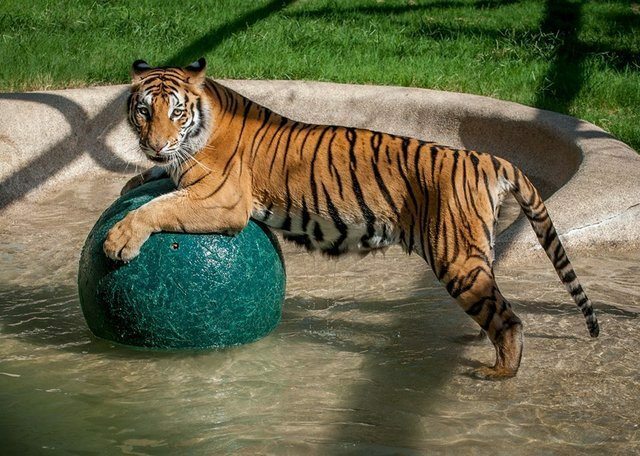 When Aasha had returned to normal, it was time to see how she would act around other tigers. She was put next to a big guy named Smuggler, and he immediately fell head-over-tail for the tiny tigress. 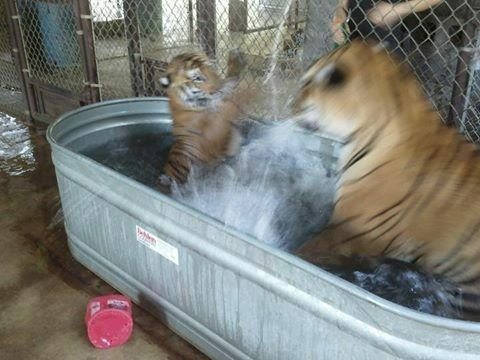 Smuggler and Aasha’s attraction to each other was evident to the In-Sync rescue staff. 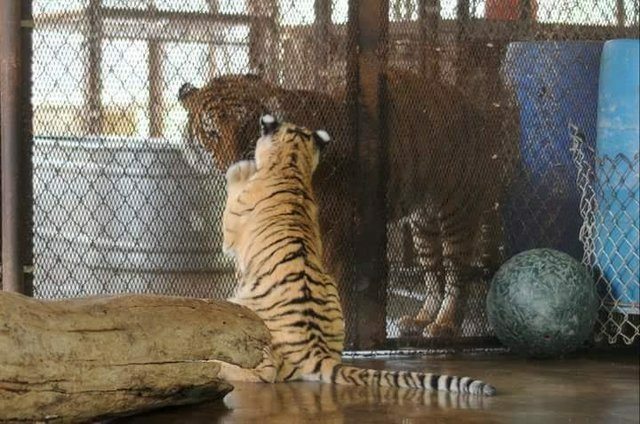 But to ensure that Smuggler wouldn’t end up hurting her, the workers supervised a “dating” period where the tigers could get to know each other. Before long, they were living in the same pen. 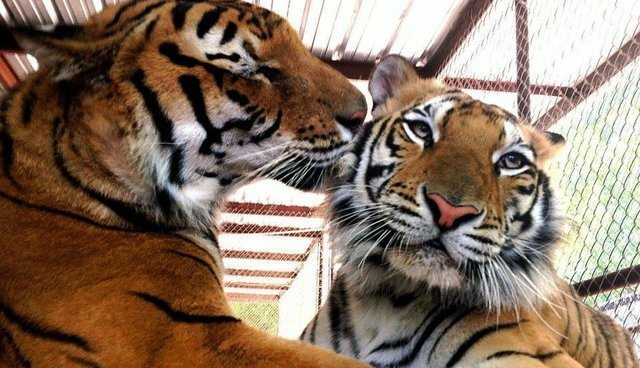 Four years later, and the lovebirds (err, love tigers?) are still happily cohabitating and their relationship remains strong.